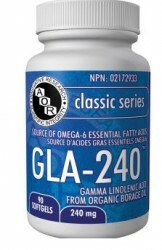 The body is capable of naturally producing GLA. In order to do this, it must have its starting material, linoleic acid (LA). This is an essential fatty acid that the body is unable to make and must be ingested as part of the everyday diet. Fortunately, most people get plenty of LA in their daily diet, since it is commonly found in almost all edible vegetable oils. Once LA is ingested, it is acted upon by an enzyme called delta-6-desaturase (D6D) which biochemically converts LA to GLA. This is how the body gets its daily fix of GLA. Without the effective functioning of D6D, the body is unable to manufacture any GLA no matter how much LA is ingested. GLA is further converted via a sequence of biochemical steps into prostaglandin 1 (PGE1), a key molecule with numerous biological properties including: • Anti-inflammatory • Dermatology (e.g. eczema) • Anti-allergy • Nerve transmission • Secretion from the mucus membrane • PMS • Steroid production and hormone synthesis The first vegetable source of GLA was discovered in the oil of evening primrose seeds (where GLA content is 9%). This oil became well known with the public, health professionals, and in health stores. Then GLA was also discovered in borage and black current in higher amounts, 24% and 17% respectively. A 1992 study published in the journal ‘Lipids’ showed that “there was no significant difference in tissue GLA levels within groups given equal amounts of dietary GLA either in borage oil or evening primrose oil”. In order to ingest 240mg of GLA, only 1000mg of 24% borage oil needs to be taken compared to 2660mg of evening primrose oil. Because reduced consumption of oil is desirable as a rule, the higher GLA potency of borage oil makes it preferable to evening primrose oil. Clinical Studies 1) Anti-inflammatory. In rheumatoid arthritis (RA), benefit from non-steroidal anti-inflammatory drugs (NSAIDs) is mediated through inhibition of the cyclo-oxygenase enzyme, thereby decreasing production of the 2 series prostaglandins (PG2). The Lipoxygenase enzyme is intact, however, allowing leukotriene (LT) production; e.g. LTB4 is an inflammatory mediator. Treatment with GLA-240 leads to the production of the prostaglandin 1 series PGE1, which has less inflammatory effects. In addition, LT production is inhibited. 2) Post-viral fatigue syndrome. 63 adult patients were treated with GLA for 3 months in a double-blind, placebocontrolled study. All patients had been ill for 1-3 years of a viral infection and were suffering from myalgia, severe fatigue and a variety of psychiatric symptoms. The essential fatty acid composition of the red cell membrane phospholipids improved significantly. 3) Mastalgia. 414 patients with mastalgia were treated with Danazol, bromocriptine, or GLA. Danazol was the most effective, with GLA and bromocriptine having equivalent efficacy. However, many more adverse effects were noted with danazol and bromocriptine. 4) Diabetic neuropathy. A 1 year study observed 111 patients with mild diabetic neuropathy who were treated with 480mg of GLA per day and assessed for 16 parameters including tendon reflexes, muscle strength, hot and cold sensation etc. For all parameters, the changes were more favorable and statistically significant in the GLA group. The conclusion was that GLA had beneficial effects on the course of diabetic neuropathy. Advanced Glycation End-products, or “AGEs” as they’re appropriately called, are the end result of the complex chemical process through which the structure of proteins is warped by exposure to sugars or by other, much more reactive molecules. In every cell, the sugar that your body uses for fuel is busily at work at this very moment, caramelizing your body through exactly the same chemical processes that caramelize onions or peanut brittle. When blood sugar levels rise, some key cell types – including nerve cells (neurons), the cells that make up the fine blood cells of the retina of the eye and the filtering units (glomeruli) of the kidney – are also flooded with glucose. The resulting high sugar levels within these cells cause a logjam in the normal cellular metabolism of glucose. This backlog results in a buildup within the cell of super-reactive glucose-metabolic intermediates which attack the surrounding proteins, lipids, and DNA, causing AGE damage from within the cell. These cells are thus the most vulnerable to the complications of diabetes. Pantothenic acid (vitamin B5) is needed by the body in order to make a compound called Pantethine. Pantethine is the “business end” of the critical Coenzyme A (CoA), which is used by the body in a wide variety of functions, including regulating cholesterol synthesis. Thus, optimal Pantethine levels are a key factor in maintaining optimal blood lipid balance. The key factor determining the body’s Pantethine levels is the conversion of pantothenic acid to Pantethine. Because making Pantethine takes up a lot of the body’s resources, the body’s Pantethine-making machinery is strictly controlled to prevent the body from taking up too many of its resources in making this compound. However, in some people the production of pantethine is turned off at a level that is too low to ensure optimal health- in particular, to support healthy cholesterol balance. In such people, taking more pantothenic acid does not lead to the body making more Pantethine. You can make up for a Pantethine-making “deficiency” by supplementing with Pantethine itself, directly correcting for any internal unbalance. Restoring optimal Pantethine levels can have a wide-ranging positive impact on your health. Total Protection Total E is the first complete, full-spectrum, balanced E complex supplement in Canada, providing alpha-, beta-, gamma- , and delta- tocopherols and -tocotrienols in a potency designed to create an excellent E complex profile. 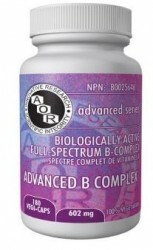 The formula also includes Coenzyme Q10, because this nutrient plays a vital role in “recharging” E vitamins to their active antioxidant form when they are deactivated in the battle against free radicals. Vitamin E is a team, not just a goalie: eight molecules, not one. Make sure your team is complete. L-carnitine is an amino acid synthesized by the body from the essential amino acids lysine and methionine, and can also be obtained from red meat – particularly lamb. For this reason, L-carnitine deficiency is quite common among vegetarians and people who simply avoid red meat; an L-carnitine deficiency as a result of this can have some ironic consequences for such a health-conscious segment of the population. This is because L-carnitine plays a central role in the metabolic breakdown of longchain fatty acids and their subsequent transport into the mitochondria for their oxidation and use in the production of cellular energy. This makes L-carnitine essential to maintaining a healthy metabolism, which in turn is critical for avoiding many age and lifestyle-associated disorders. L-carnitine deficiencies were not identified until 1972, making the study of L-carnitine’s crucial importance to metabolism an ongoing topic of research. ALCAR is N-acetyl-L-carnitine, a short-chain acetylated ester of carnitine, a quaternary amine found ubiquitously in mammalian tissues. Extensive research has documented ALCAR’s ability to rejuvenate mitochondrial bioenergetics and support cognitive function. ALCAR should be taken with R(+)-lipoic acid (not the common “alpha-lipoic acid” or “lipoic acid”) for additive benefits and to reduce metabolic byproducts created by aging mitochondria.